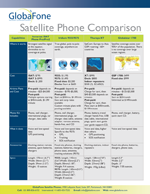 Click here to download our Satellite Phone Comparison PDF to find the right phone for your needs. GlobaFone’s CEO Lou Altman provides education on the networks, phones and capabilities to help you select the right satellite phone for your agency. Listen to the podcast HERE.